The GoFit Professional Stability Ball is a must-have commercial-grade stability ball for anyone looking to strengthen their core stability. This stability ball offers a unique and fun way to tone, tighten, and stretch your body in ways that you never knew you could before! 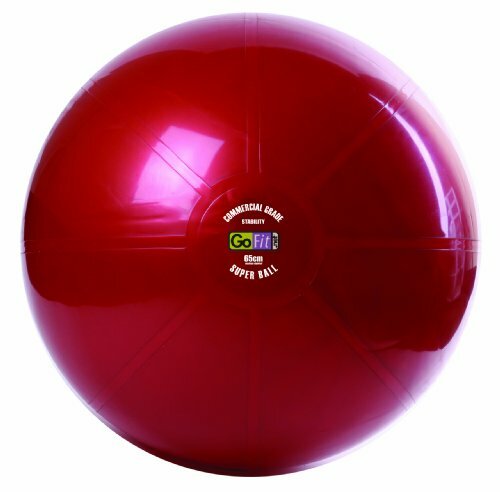 Featuring extra thick walls, this ball has been scientifically tested to withstand weight up to an unheard of 2,000 pounds at its full air capacity. The ball also features a textured surface to minimize slipping and maximize your potential to workout and stretch without the fear of injuring yourself, giving you more control and peace of mind. if you are a beginner to the exercise world, this is the perfect piece of equipment for you to begin with. Simply by spending an hour a day sitting on the ball will begin to get you results, and you’re sure to notice your posture and core strength improving. This is the perfect way to start small and work your way up to high impact workouts. Unlike working out on flat surfaces, a stability ball gives you the unique opportunity to elevate different parts of your body to not only work different sets of muscles, but to challenge your ability to balance and maintain your posture. With this option, you can do multiple workouts without ever having to step onto a machine or leave the comfort of your home. The GoFit Professional Stability Ball is perfect for anyone working through an injury, looking to work on their core, or even someone just looking for a low-impact seat to ease some of the tension in their spine. As a matter of fact, many people with posture and/or spine issues use the stability ball as a seat, replacing traditional chairs for the comfort and forced posture and balance that this stability ball demands. 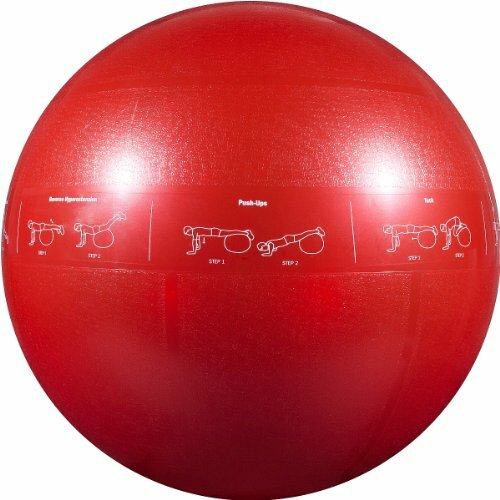 With its ability to help you increase your balance, strength, and functionality, The GoFit Professional Stability Ball is a key bit of equipment for anyone serious about taking their core workout to the next level. Available in three sizes (55 cm, 65 cm, 75 cm), and three colors (red, blue, and grey), everyone can find the stability ball that suits their needs perfectly. Just be sure to find the stability ball that truly works for you. Ideally, you’ll want a ball that, when you sit on it, has you bending your knees at a 90 degree angle. GoFit 2500lb. 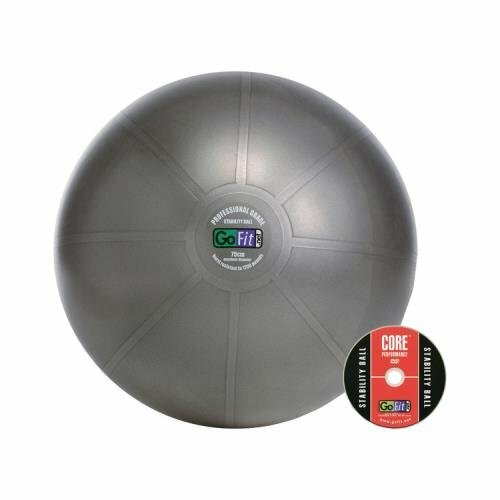 Commercial Graded Exercise/Stability Ball - 65cm, GOFIT L.L.C.